In December, reacting to a court ruling, the California Franchise Tax Board eliminated a tax break designed to encourage small-business investment in the state, and it said it would demand retroactive tax payments from everyone who took advantage of the incentive since 2008. Now angry voices are rising in opposition to that decision, which will cost thousands of taxpayers an estimated $128 million. Lieu’s letter comes as a new lobbying group, California Business Defense, is organizing a campaign to block the changes through administrative and legislative channels in Sacramento. “We are here to fight this retroactive tax and ensure that California continues to be a bastion of business and job creation for years to come,” the group states on its website. 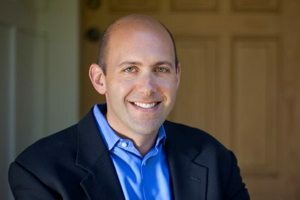 The organizing committee of California Business Defense includes Brian Overstreet, the CEO of AdverseEvents.com, whose Jan. 15 commentary in Xconomy first brought widespread notice to the FTB’s new policy. Other members of the organizing committee include CEO Phil Dunkelberger, CEO of Palo Alto, CA-based Nok Nok Labs; Jim Fowler, CEO of San Mateo, CA-based InfoArmy, and Bruce Hansen, board chairman at San Diego-based Brightscope. All four men formerly led and sold large tech companies: Dunkelberger was CEO of PGP (acquired by Symantec in 2010), Fowler was CEO of Jigsaw (acquired by Salesforce.com in 2010), Hansen was CEO and chairman of San Diego’s ID Analytics (acquired by LifeLock in 2012), and Overstreet led Sagient Research Systems (sold to Informa in 2012). As such, they’ll all be subject to additional assessments from the FTB, to the extent that they took advantage of incentives that allowed taxpayers to exclude or defer gains on the sale of stock in a “qualified small business” (QSB) with 80 percent or more of its operations in California. Hansen told U-T San Diego the changes will cost him several hundred thousand dollars. The FTB says it was forced to invalidate the incentive by a 2012 Court of Appeals ruling. In the case of Cutler v. Franchise Tax Board, decided last August, the court found that the 80 percent requirement represented an unconstitutional restriction on interstate commerce, since investors in multistate companies weren’t allowed to take the tax break. To remedy the situation and treat all taxpayers equally, the FTB says it has no choice but to collect the taxes people would have paid if the deferral and exclusion options hadn’t existed, going back to 2008 (the most distant tax year that’s still open to new assessments under the statute of limitations). Lieu argues in his letter to Selvi that the FTB is going overboard by insisting on the retroactive payments. “Taxpayers changed their behavior to take advantage of the QSB incentive, and this change helped California but spurring new investments in start-up companies and small businesses,” Lieu writes. “It is unfair for California and its state government, which benefitted from this policy, to now retroactively change the rules.” Lieu ends the letter by urging FTB to reverse its decision. Overstreet says California Business Defense has hired the Washington, D.C. lobbying form of Petrizzo Bond to orchestrate opposition to the FTB decision in Sacramento. Phil Bond, the president and CEO of Petrizzo Bond and former CEO of the powerful tech industry lobbying group TechAmerica, is leading the firm’s effort. It has always been my opinion that the USA was the home of business and the creator of opportunity, This article by Wade Rush is actually quite shocking to me as an investor/business owner in the UK, I thought that the UK was anti-business in many ways but to discourage start-up entrepreneurs is a naive policy in the very least. Good luck Wade with your California Business Defense initiative. The plight against small businesses in this country is endless. Little do people realize that the entrepreneurial firms carry this great nation. Without them America wouldn’t be the same.